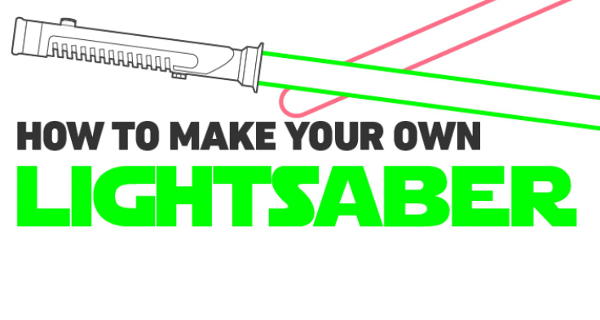 Everybody loves lightsabers and the ultimate in geek cred is to build your own. It might seem complicated and daunting, but it's actually not as hard as it looks. Here's a handy infographic on how to make your own lightsaber. Would you build your own lightsaber? Additional options - spray paint handle. For some reason, that amused me. Hey! Some of those quotes are obviously not from the movies! Yeah, some are from the expanded universe. The one where Luke says they're not playthings is from one where he's instructing his new students.